For New Year, me and the family went down to North Devon, specifically between Ilfracombe and Woolacombe. We hired a Lodge on Mullacott Park, with a hot tub!! I so want one of these in my garden! We drove down, which is a good 3 1/2 hours drive from Birmingham, and arrived early evening. We headed straight to the lodge and got settled in. It was such a lovely lodge, very clean and well looked after. I could so live in one! Later, me and my sister visited the on site pub for some food and wi-fi access! Then we hit the hot tub! There is something really nice about the feeling of being in hot water whilst the surrounding air is cold! New Year’s Eve was spent visiting Woolacombe and Ilfracombe and then my Auntie came and joined us for a few days. She spent the next few hours teaching me and my sister some card games, which was really fun! We headed of for some dinner down to the Red Barn in Woolacombe where I had a lovely steak, followed by some lovely chocolate cheesecake/cream pie thing! What a meal to end 2014 on. It was still quite early so we headed back to the lodge and just chilled out for a bit. Then as it neared midnight me, my sister and my Auntie took to the hot tub with our plastic cups for our bubbly!! Me in the hot tub! It was such a great way to bring in the New Year, counting down to 2015 and singing Auld Lang Syne! After consuming the bubbly and having started to go wrinkly we called it a night. New Years Day! 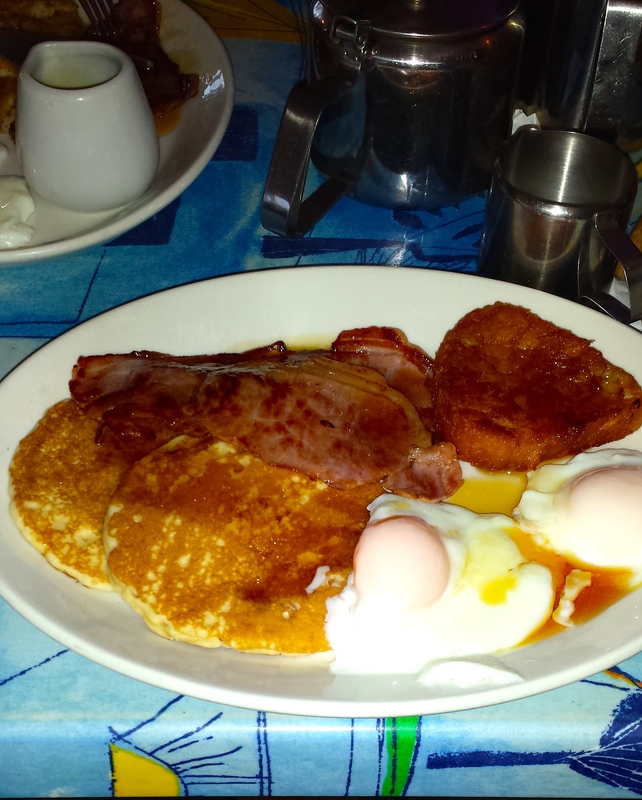 I can’t believe it is a brand new year, and to celebrate we went down to Woolacombe and had the best breakfast ever! Pancakes, bacon, eggs, hash brown and maple syrup at The Beacomber Cafe! What a way to start the day let alone the year! We spent the remaining few days walking along the beaches and eating lots more food! Me on New Years Day! I will definitely be going back to Mullacott Park as it was a really nice break. What did you all get up for New Years Eve? Lenny loves… the gym, or maybe not! !